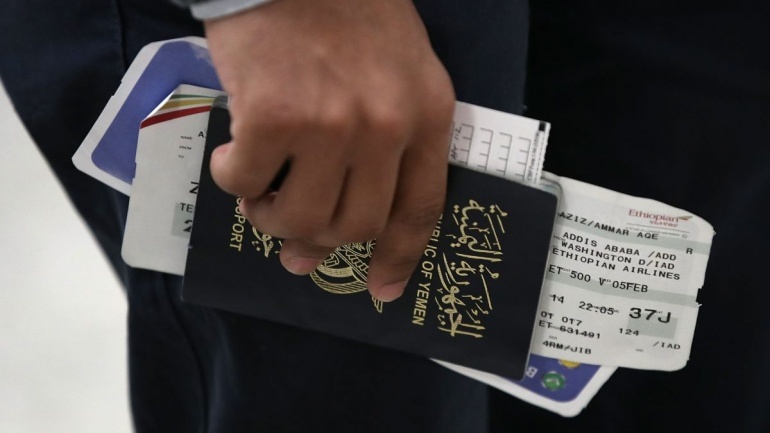 The Yemen's internationally recognized government has announced the cancellation of the services provided by the Immigration and Passports Department in the capital, Sana'a, which is controlled by the Houthis group (Ansar Allah) and the invalidity of the documents issued by it. According to Aden-based Saba News Agency the Passports and Immigration Department in the temporary capital Aden have confirmed again that the passports issued by the Houthis in Sana'a are invalid. The agency said that in a circular to all their branches in the government-held cities and ports, the Department emphasized the invalidity of all travel documents issued by the rebel militia from entry visas for foreigners, through residence permits, refuge cards, naturalization certificates and marriage consents to passports. The Department called upon on all the Yemeni citizens and foreigners in the country to refer to their branches in the government-held areas only.